My No-Stress Christmas Lunch Recipes! Family and friends are gathered around the table, chatting happily, their smiley eyes twinkling and mouths watering in anticipation of the feast before them. Picture a magnificent bone-in roast shoulder of pork sitting up proudly on its platter, snug in its cloak of crispy, fragrant crackling. Surrounding it are dishes of golden, crunchy roast potatoes; baked apples with cinnamon and ginger stuffing; glistening Vichy carrots dotted with parsley; mustard and maple glazed roasted parsnips; and sprouts bejewelled with redcurrants and hiding a surprise, savoury crunch. Two gravy boats (because you can never have too much gravy) brim with richly flavoured pork gravy and a bowl of freshly mixed English mustard stands at the ready. For me, the main event for Christmas Day has to be a Slow Roast Shoulder of Pork with lots and of lots of cracking crackling! Mmm… can you imagine it? Can you hear the crackling snap? Can’t you just taste it?! But, there’s more – imagine the leftovers: cold pork and chutneys and a cheese board for supper? Cold pork with mustard pickles, a crunchy, buttery baked potato and mixed leaf salad for Boxing Day? To make sure we actually have room for the main event, I like to serve a light first course and this year it’ll be Citrus Cured Gravlax with a Horseradish Creme Fraiche. Dessert too, will be light – but not light on indulgence! I love lemon curd and I love meringues. And chocolate. 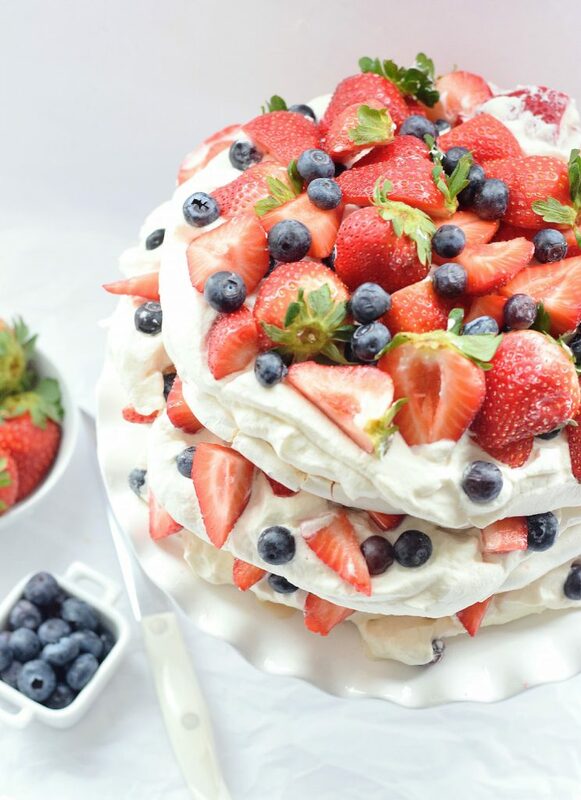 So a Layered Lemon Curd Fruit Pavlova will be a perfect sweet, sour, crunchy and unctuous finale to our celebratory lunch! Making all the elements of the Pavlova before-hand & assemble just before serving the first course. 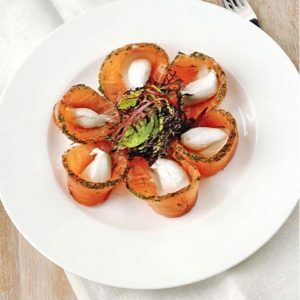 Citrus Cured Gravadlax with Horseradish Creme Fraiche: Home made gravlax is ridiculously easy to make, yet so impressive to serve as a celebratory starter or as part of a buffet. 6 Hour Slow Roast Pork Shoulder with My Fennel Crackling! 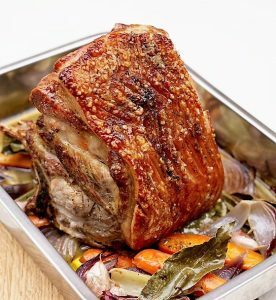 : Truly free-range, pork shoulder, on-the-bone, will give you depth of flavour, succulence, meltingly tender, uber-delicious meat and the best crackling ever. And if you want a stress-free Christmas morning, then this absolutely the recipe for you and big plus is that the gravy makes itself and is grain-free! 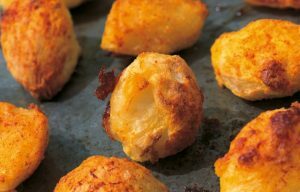 Crunchy Roast Potatoes with Saffron (or Turmeric): I love Delia’s saffron twist, but if you’re on a budget, it works with a little turmeric too. 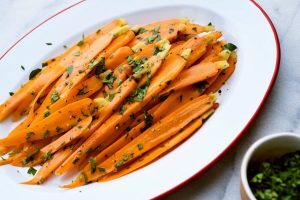 Vichy Carrots: Vichy carrots are a French classic and wonderful way of elevating the humble carrot to Christmas table heights. It’s also simple, quick and absolutely delicious! 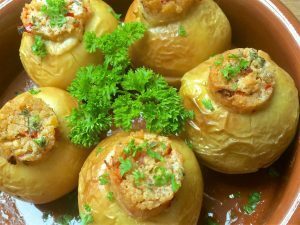 Cinnamon & Ginger Stuffed Apples for Pork, Poultry or Game: This lovely blend of flavours (sweet, spicy and slightly sour) pairs beautifully with roast pork, poultry or game and looks amazing on any celebratory table. 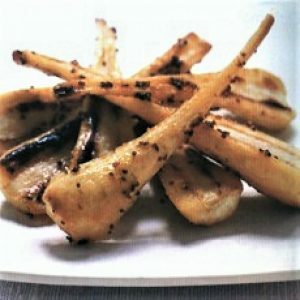 Mustard & Maple Glazed Roast Parsnips: This is simple glaze transforms the humble parsnip – or for that matter, any root veg – into a thing of complete deliciousness, more than worthy of a place at any celebratory table. 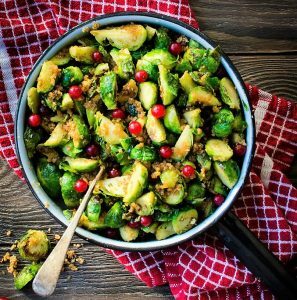 Crunchy Sprouts with Redcurrant Berries: From Donna at Eighty Twenty Nutrition. These look and taste the part for a Christmas table – bejewelled with redcurrants and concealing a wickedly different crunch! Layered Lemon Curd Fruit Pavlova This is a recipe based on Leah’s at Trufles and Trends. 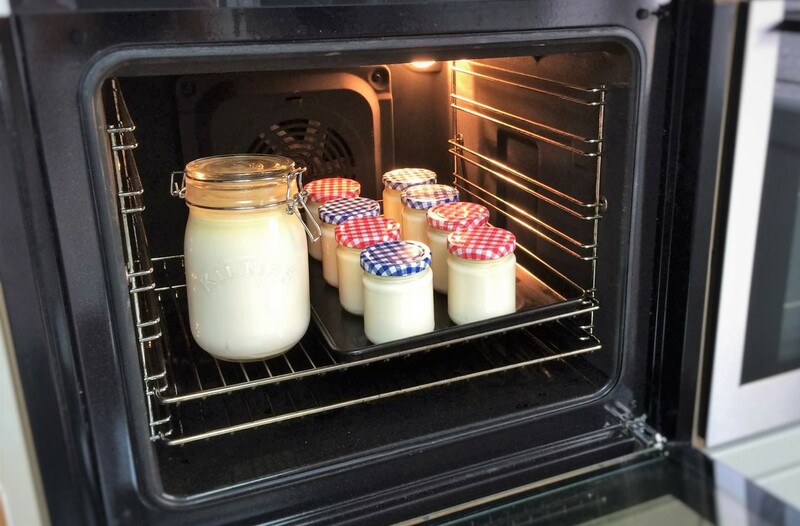 I’ll be customising it by spreading home-made, super-quick Ballymaloe Cookery School lemon curd over each layer, before adding the vanilla cream. Leah uses strawberries and blueberries, but I’ll choose which ever fruit looks the best when I shop (at this time of year, I love orange segments marinated in Grand Marnier or brandy and maybe some redcurrants) and I’ll finish it with chocolate curls. So there it is – my Christmas Lunch menu! Each year, I look forward to the planning, prepping and cooking of this most special meal. But most of all I look forward to sitting down with family and friends and enjoying the sharing, the chatter, the laughter… and of course, the utter deliciousness of it all! Here’s to Christmas Lunches everywhere – and here’s to you enjoying yours as much as I’ll be enjoy mine! Under 50? Get Breast Cancer Aware NOW and Reduce Your Risk! What a wonderful business it is to help people with good advice. I love the term *Femmergy*. 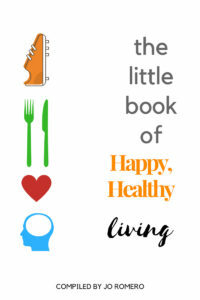 I love your website and your mission! Thank you Birgitte – we women absolutely need our ‘femmergy’!! Next story Valentine’s Day ‘Self-Love’ 5 Ways!